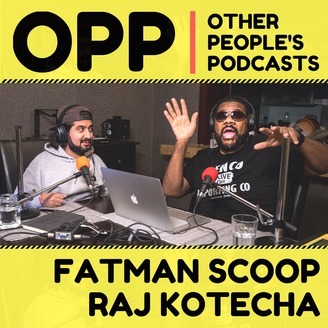 OPP stands for Other People's Podcasts - where Grammy Award winner Fatman Scoop and content expert Raj Kotecha share what they learned listening to some of the worlds best podcasts. Drawing from the millions of business and personal development podcasts available today, each episode focuses on one great podcast, with Scoop and Raj talking about what they learned and how it may be applied. Both hosts come from very different worlds, which often leads to high energy debates and moments of complete digressions, however, the overall show helps you choose which podcasts to listen to, or get a barbershop-style post-episode analysis from two very passionate presenters. Look out for reviews on podcasts by Gary Vaynerchuk, Tony Robbins, Lewis Howes, Tim Ferriss, James Altucher, Joe Rogan and many others. The show is Produced and Edited by Arjun M Shah and Executive Producer Raj Kotecha. In this final episode for Season One, Raj and Scoop chop up a huge interview with the internet's golden child, Kevin Rose, interviewing the real-life Tony Stark, Elon Musk (Tesla, SpaceX, PayPal, the man's winning list goes on). They talk about Elon being a visionary but how the space launch that happened in Dec 2017 was just too much for Scoop. Raj also tries to calm Scoop down on Elon interfering with the "people" of Mars. Jewels include the value of having loss leaders in your business, being resilient when people turn you down and becoming the thing that people don't believe you can be. Please subscribe and give us a 5 star rating and leave a comment wherever you see this podcast, but especially on Apple's Podcast store. OPP - Other People's Podcast is a show dedicated to reviewing and reflecting on the best personal and professional development podcasts available online today. 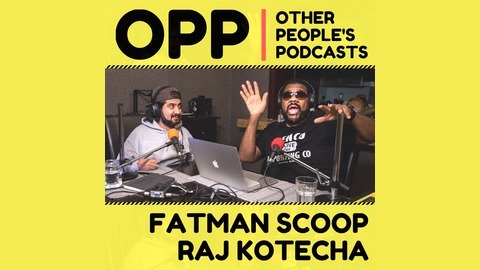 The show is hosted by Fatman Scoop and Raj Kotecha. The show is Produced and Edited by Arjun M Shah and Executive Producer Raj Kotecha. Any third-party content featured in OPP is purely for the purpose of promoting the excellent podcasts and people mentioned by the show and is not intended to infringe on any copyrights.